Jana's Creative Pursuits in Stamping: New La-La's are HERE! 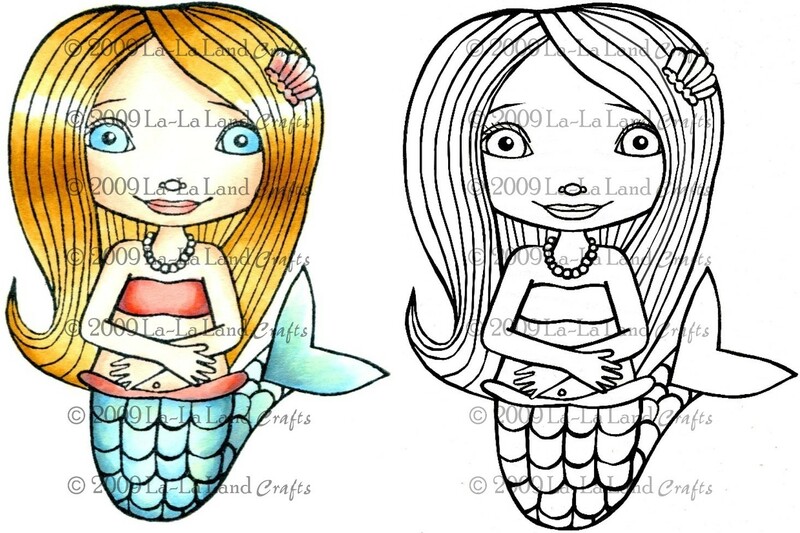 It's a La-La Land Challenge Wednesday, and we have some new stamps to share with you! This week Jane has challenged us to "Get Scrappy" and use up all those scraps we have laying around. Now, I'm not a very organized person in general, but after giving away several grocery bags of scraps when moving from Germany, and a many gallon sterlite container of scraps before moving TO Germany, I decided to get organized. So now, I keep my scraps neatly filed and available so that I actually USE them! I'll take pictures of it tomorrow so you can see. But NOW, I know you ALL are waiting to see the new La-La's we have for you! I won't make you wait any more! Introducing, Mermaid La-La. In my scrap bin I had some great vellum and other scraps, so I gave her some waves to flit in, and added some chunky glitzy glitter to make the waves sparkle! Be sure to head to the La-La Land Challenges blog to see all the new releases, and everyone's challenge cards...we'd love to have you play along with us! Just create your own Scrappy card feature a La-La Land Crafts stamp and add a direct link to your project using Mr. Linky. 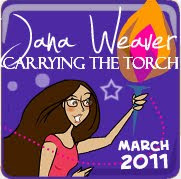 This is one fantastic card, Jana! 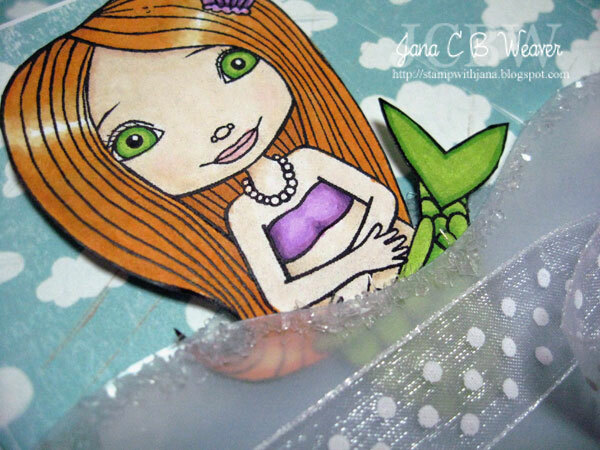 I love how you used the vellum and made them waves! So creative! Way cool, Jana! Happy Birthday Jana! :) Hope your day is wonderful as you are! Your card is gorgeous! 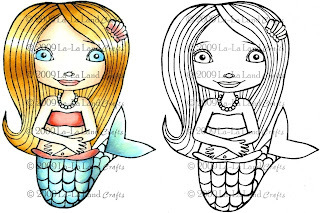 Love the pretty waves you created for Mermaid Lala! So fabu! Great layout esp. with the clouds in the BG! This is a beautiful card! Love the colors on it and the fun vellum waves with beads for sea foam. Such a great effect!!! I love reading your comments, thanks for leaving me some love! All images are original creations by Jana unless otherwise noted. Any that are inspired by others are duly acknowledged within the text, usually with a link. All stamp images are copyrighted and aknowledged in the supplies section. Any images with no company listed are copyright Stampin' Up! 1990-2008. Bellarific Friday - gettin inky! Prettie Peeks are here again! Pretties Weekly Challenge #100 !!! Toonie Tuesday at Paper Pretties! 50 cent Friday at Paper Pretties!! PWC99: Spring Break - WOOHOO!!! Fifty Cent Friday at Paper Pretties!!! Paper Pretties has NEW stamps!!! The Mother Ship - Stampin Up!